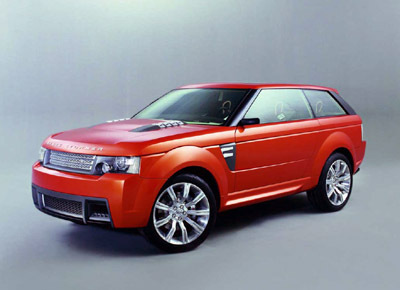 The Land Rover Range Stormer concept was first unveiled at the 2004 North American International Auto Show. 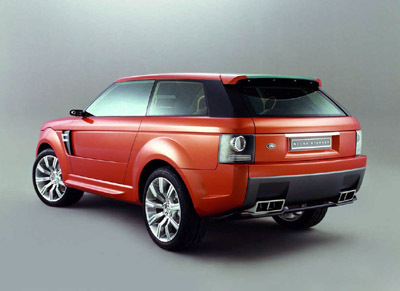 The Range Stormer concept is touted by Land Rover as a high performance, sports touring SUV. The Range stormer is powered by a supercharged V8 engine, and the concept displayed many interesting features. The most striking of which are the scissor opening electric side doors with fold down sills, doubling as steps, and the rear two piece electric tailgate, this opens with the upper half lifting and the lower dropping behind the bumper to give optimised access into the loadspace. The Range Stormer uses classic, angular Land Rover lines but the concept also shows the future intentions for Land Rover vehicles. The disproportionately short cabin height compared to the overall body size gives the Range Stormer an aggressive, powerful and sporty stance, enhanced by the use of massive 22 inch wheels.